7 March 2018 — Médecins Sans Frontières (MSF) welcomes the launch of the updated guidance by the World Health Organization (WHO) this week on the diagnosis, treatment and management of cryptococcal disease, an opportunistic infection mainly affecting people living with advanced stages of HIV/AIDS. Cryptococcal meningitis, a severe form of the disease that affects the brain, kills more than 180,000 people every year — 75% of whom are in sub-Saharan Africa. 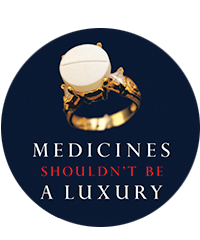 Effective treatments exist, but the medicines have never been widely available. The updated WHO guidelines recommend a combination of amphotericin B deoxycholate and flucytosine as the first line treatment option. Liposomal amphotericin B (L-AmB) is actually preferred over amphotericin B deoxycholate given its better safety profile. However, the updated WHO guidelines include recommendations for drugs that remain largely inaccessible in low and middle-income countries, where they are not widely registered and where prices are out of reach. The price of flucytosine is approximately US$120 for a week-long course, and L-AmB is more than US$500 for a week-long course. Countries now need to update their national guidelines, and both countries and pharmaceutical corporations must accelerate registration of flucytosine and L-AmB to help save the lives of people living with HIV. See the Editor’s Note below for more information on the challenges in accessing these medicines. Jessica Burry, HIV pharmacist for MSF's Access Campaign. Gilead Sciences, manufacturer of liposomal amphotericin B (L-AmB), has only registered this product in 15 low- or middle-income countries, only one of which is in sub-Saharan Africa. As part of its access program, Gilead offers this drug for treatment of a disease called leishmaniasis at USD$16.25 per vial for eligible low-income countries. Despite MSF’s repeated request for inclusion of cryptococcal meningitis in this program, there has been little sign of progress. Furthermore, although this medicine is no longer under patent, Gilead has refused to share its technology and manufacturing methods with potential generic manufacturers, thereby delaying generic production and effectively maintaining their monopoly on this medicine. Flucytosine is a medicine that has been around for decades but has still not been registered in any sub-Saharan African country. Mylan, a generic pharmaceutical company, has recently acquired this drug as part of their portfolio and filed to register it with the WHO Prequalification Team. Mylan must prioritize its registration more broadly in low- and middle-income countries. Currently, flucytosine needs to be taken four times per day, which is difficult in most settings. Development of a sustained release version, which can be taken once or twice daily, would improve the administration of the treatment and must be prioritised. 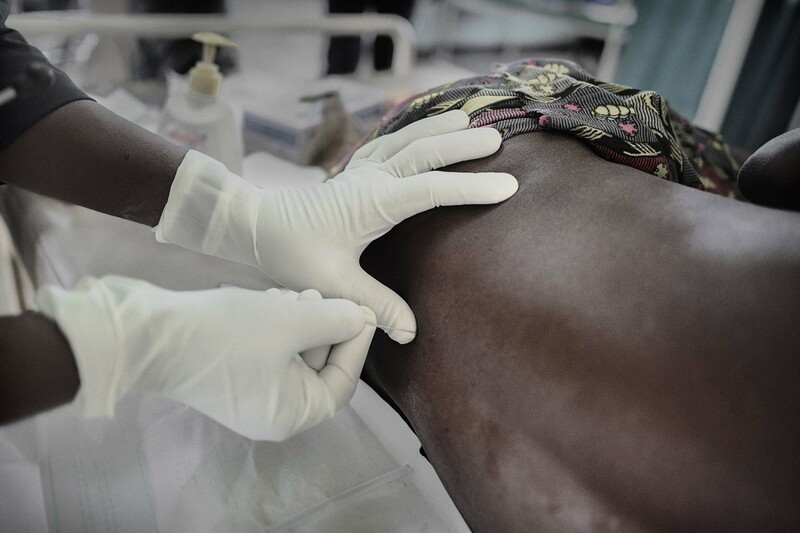 In MSF-run and MSF-supported hospitals providing specialised care for people living with HIV/AIDS in DRC, Guinea, Kenya and Malawi and Mozambique, cryptococcal meningitis is one of the biggest killers of our patients, after TB and bacterial chest and blood infections.